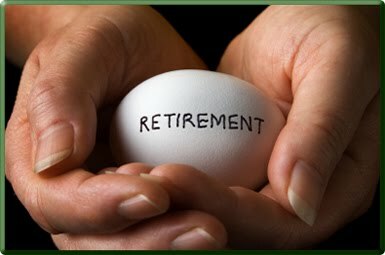 mommy's reviews: Protecting That Nest Egg! When my husband and I were married, it was just the two of us. I had my job and he had his. I had my bank account, and he had his. It wasn't until I became pregnant with our first baby that we started to think about financial planning and saving. You know, when it is just the two of us, there really isn't much to think about. But when you add a baby to the mix, there suddenly becomes a whole lot more. Fortunately, I have a sister who is an insurance agent and knows a whole lot more than me when it comes to planning for the future. I would like to think that we won't ever need our insurances but lets face it, things happen and it is only wise to plan for those times. When thinking about your nest egg, what comes to mind? Savings, 401K's, insurances? For me, it means money...or, our savings. The first thing I did when I became pregnant was to look over my 401K plan and see just how my money was allocated. After looking over my account with my sister, I about died laughing. I had everything allocated in very high-risk accounts and really, felt very silly about it. I had told her that I never thought about where my money went, just as long as it went somewhere!! This was obviously not a smart move. So, she helped me move my account over to where it could be managed better and we re-allocated my funds. I felt much better about that!! You see, having a 401K is good but it will do you NO GOOD if you don't know where your money is going and if it is in good accounts that will EARN you money, rather than lose money. A short time after that, my sister met with us and we discussed our life insurance policy. Honestly, we had never thought of that and didn't think we had a need to. She enlightened us to the fact that yes, you need to have some sort of insurance policy so that if something happened to one of us, finances would be taken care of. I have 2 children and before our policy was set up and something were to happen to my husband, I would really have no way to survive. Now, I know that I would be taken care of by family, but how fair would that be to them? Another thing was that we had no will...meaning that we had NOTHING settled as far as allocation of belongings, who would care for our children, the house, etc. So, after MUCH discussion, we met with a lawyer and set up a will. This set my mind at ease. These are just a few things that we have done to make sure the money we are saving gets allocated properly and that our finances stay somewhat stable. In these economic times of hardship, it is important to be prepared...if not for yourself, then for your family. So, how about you? Do you have any special tips and hints to help protect you and your family?